Today in this post I will tell you how you can track flights online in real-time. If you are celebrating any festival or have some kind of function at your home and you are expecting few guests to come. Or if you are a frequent traveler and gets lots of updates via email and SMS about your airplane delay, gate change, etc. Then FlightStats can help you. It is very useful service for both the traveler and the picker-upper. They give you real-time details about the flights, airports and airlines. 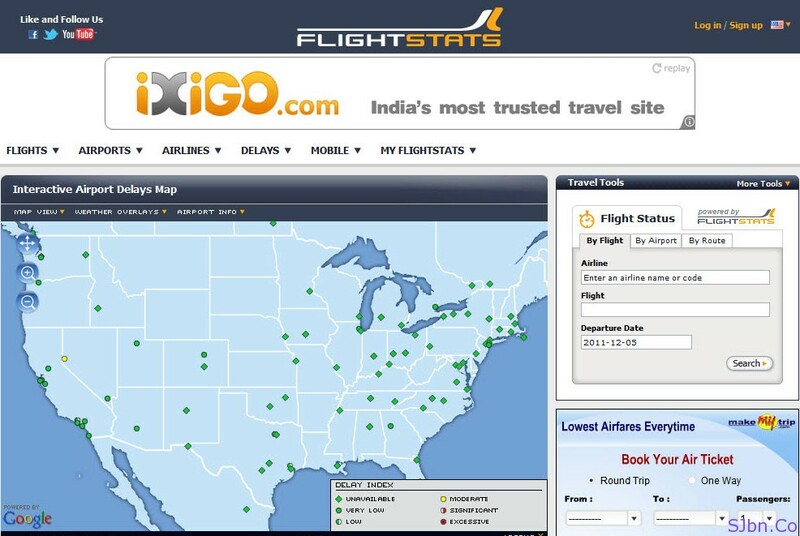 You can track whether your flight is on-time, delay, canceled, etc, what is rating of any flight and airport. Get the current weather report of any airport so that you can get to know if there is any chance of your flight delay. This website is accessible via computer and as well as mobile devices. You can also setup alerts for your flight (login is required).